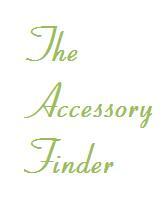 Welcome to the Accessory Finder. The place to find all the little things that make life sweet! I search the web for all kind of interesting accessories. If you would like to purchase any of these items then just click the link below the photos and it will take you to their shop. "This collar is so much fun- it has black and red polka dotted tulle with two kinds of lace behind a darling heart brocade." 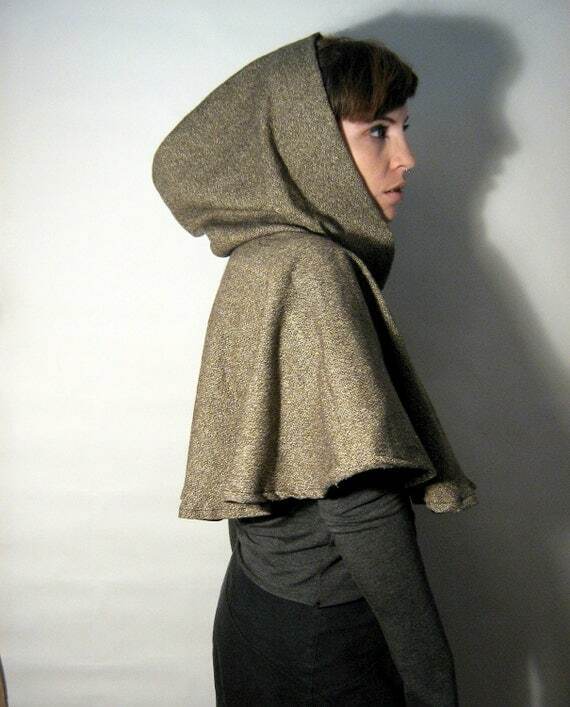 This short little cape is made from brown and tan wool blend tweed and is one size fits most. It is the same pattern as my other short travel capes. The cape closes with one snap at the neckline, and drapes over the shoulders in almost a complete circle of fabric. The garment is unlined." 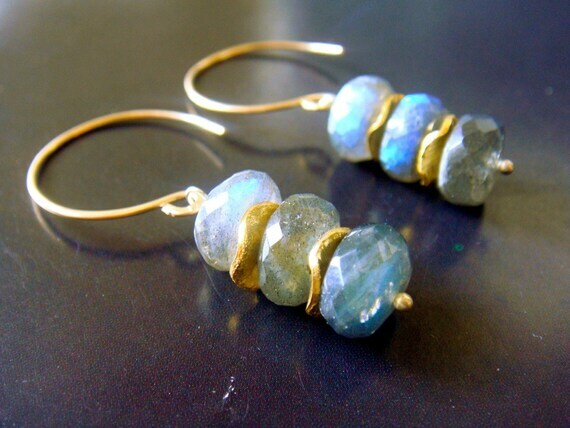 combined with wonderful 24k gold vermeil ( sterling Silver 24k gold plated) Pieces and they dangle from a impressing handcraftet, 20 ga part hammered 14k gold filled Ear wire. Unusually chic and still you can wear them with your every Day pair of Jeans!" Dreams and Jewelry says "I had an organic circle shape cast in Sterling Silver with little random cut outs that resemble an ocean sea fan. I oxidized the surface and gave it a softy scratched surface. 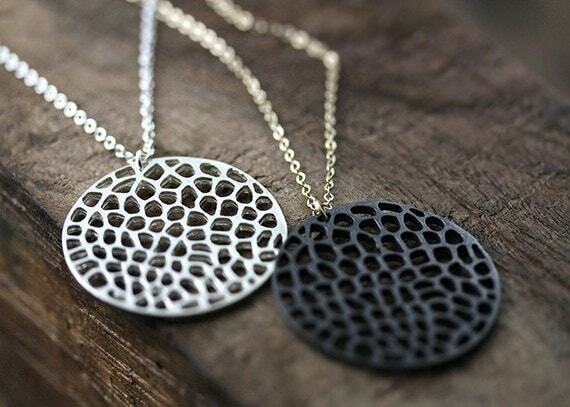 It hangs from a 14kt gold filled chain." "The femme fatale, need I say more." "Made with thick wool blended acrylic yarn in beautiful ivory colour, there are black and brown colour blends in it. Hand knitted and very cozy, made for cold winter days." "ach of the five genuine Oregon sunstones was chosen for the unique shape and character. 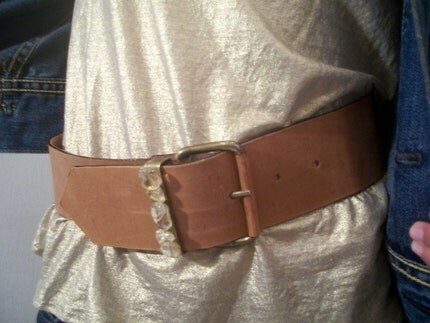 Lined all in a row, they sit proudly adorning this wide natural buckskin leather belt. Brass hardware." 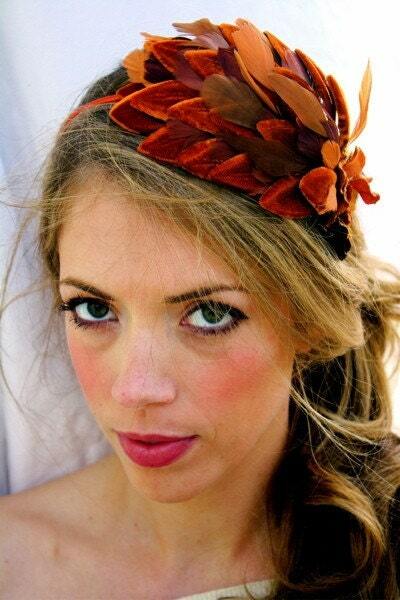 "Hand dyed and pressed velvet petals are set on a comfortable orange headband and filled with hand dyed feathers and a matching side flower detail."